A great new solution for Hummingbird lovers! Hello, I’m Jim Glover, That Branding Guy, for Once a Day Marketing™. On our radio show Ask Those Branding Guys, we discussed creating the brand and marketing of a new product. Joining us on the show was Rebecca Evanko. 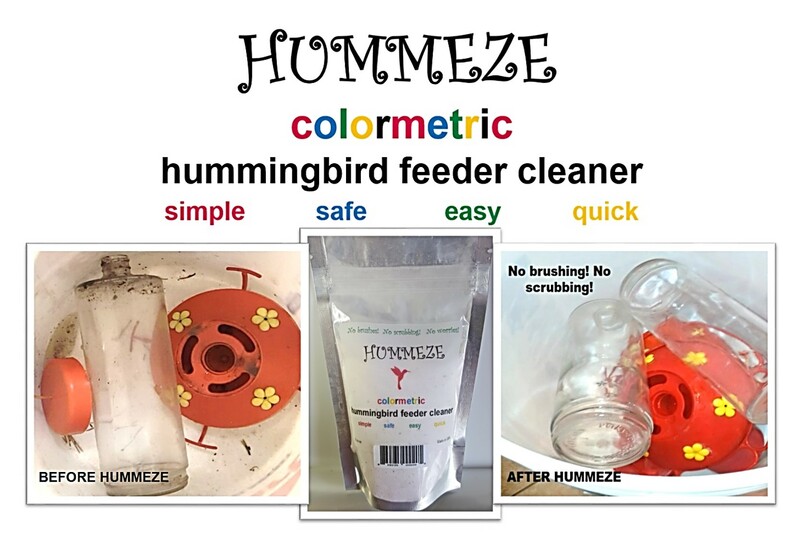 She and her husband Mark are the inventors of Hummeze bird feeder cleaner. This patented new product is an eco-friendly, safe and easy way to cleaner bird feeders without brushing or scrubbing. It is very important to keep your humming bird feeder clean and free of harmful mold which grows readily in the sugary nectar. This is the third product the Evanko’s have taken to market and they have learned many lessons along their journey. Rebecca shared that one of the keys to success is to ask for help. There are many resources available here in New Mexico for start-up companies including the Manufacturing Extension Partnership (MEP). Rebecca also encourages entrepreneurs not to be afraid to try new methods and eventually you will find something that works. Hummeze has been available for about three months and is unique in the marketplace. To reach potential customers, Rebecca is currently focusing on the segment of their audience who understand the importance of keeping their humming bird feeder clean. Rebecca and Mark started marketing with a webpage and social media including a YouTube video demonstrating Hummeze cleaning a very dirty bird feeder on YouTube. Both the webpage and Facebook have been successful in driving sales. Rebecca and Mark have also been taking the product to trade shows to reach large numbers of potential customers. Glover shared some tips to make their booth memorable, engage attendees at the show and follow-up with everyone who visits. Rebecca’s tip to others starting a new business: really understand the cost of all the components and shipping charges to build into your break even analysis. Once a Day Marketing™ inspires clients to brand bold.Visit our website at www.onceadaymarketing.com. Contact James Glover at (505) 501.1330 or email glover@onceadaymarketing.com. Listen to Ask Those Branding Guys™ every Monday at 11:00am (MDT) streaming live on SantaFe.com KVSF 101.5 FM.